Excavations are large and time-consuming projects. 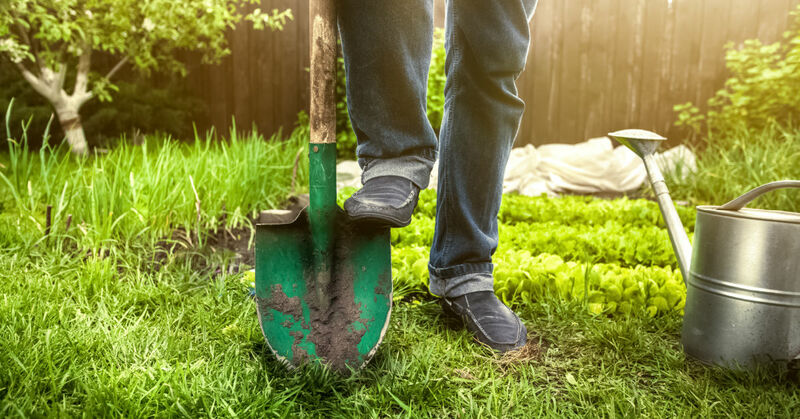 Far from digging fence post holes, excavations are usually needed to lay or fit the foundation of a house, to dig out a spot for a septic tank, and other large-scale projects. Without a backhoe and other heavy equipment, the task of excavation can become incredibly difficult. Even if you have the time and equipment to perform an excavation on your own, do you really want to DIY a project as large as an excavation? StoneTree has the resources and the expert experience to make your next excavation easy and professionally completed. When approaching an excavation project, StoneTree has many projects under their belts. Because of our extensive work, we will know what your project needs to be completed successfully. Basic equipment – From shovels to reinforcing posts, we have all the basic equipment to handle an excavation. Heavy equipment – We are equipped with all the heavy equipment and attachments that are often needed when conducting an excavation project. No need for you to go out and rent a backhoe with various shovel and tamping attachments when we already have it covered. Manpower – When people conduct DIY excavations, it is usually done solo or with a couple of helpers. This can make a project drag on well beyond the hoped-for deadline. Stonetree assigns a team to every excavation to make sure it is completed in a timely manner. There are many things you can successfully DIY and have it look clean as well as professional. But DIY excavation projects are considerably more difficult to give a polished, professional touch by the end of the completed task. Beyond just the cosmetic value of having professionals handle your next excavation project, there is the matter of safety to consider. Stonetree takes pride in their workers’ safety as well as the safety of all others which come in contact with an ongoing Stonetree excavation. We ensure that our excavated walls do not collapse or endanger your surrounding structures. Enjoy security along with our polished completion of your excavation. Stonetree a fully licensed and insured company that is ready to tackle your next project, be it excavation, landscaping or masonry. Be sure to check out our projects tab to see some of the excellent work we have completed. Then, feel free to contact us today so we can discuss your project and help your home reach its highest potential.